Wash and dry the container you want to keep your syrup in. Add the sugar and the water to a saucepan. Whisk it together until most of the sugar has dissolved. 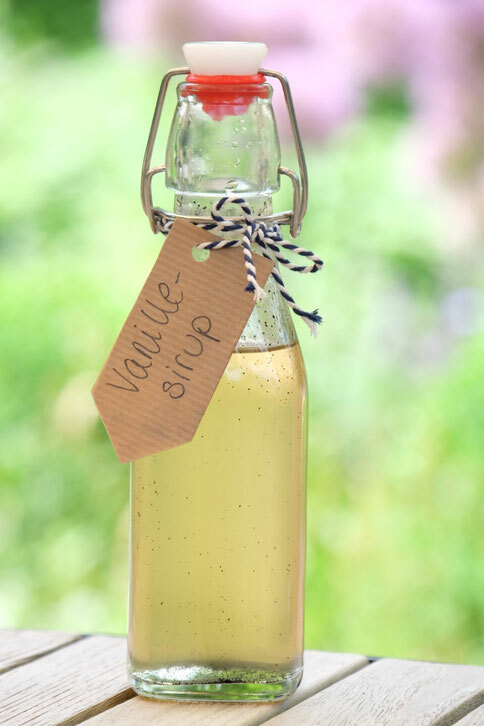 Scrape the seeds out of the vanilla bean and add them to the sugar. Add the vanilla pod as well. Put the saucepan on the stove and turn on the heat to about middle high. Bring the water to a slow boil and let it boil gently for about 6-8 minutes. No need to whisk, just swirl the pan every now and then. It's supposed to turn golden but only very slightly so. It's not supposed to get very thick, it will thicken later when it cools. Take the saucepan from the heat and let it cool down. Take out the vanilla pod. Using a strainer, pour the syrup into some kind of container. This will keep covered in the fridge for a few weeks. 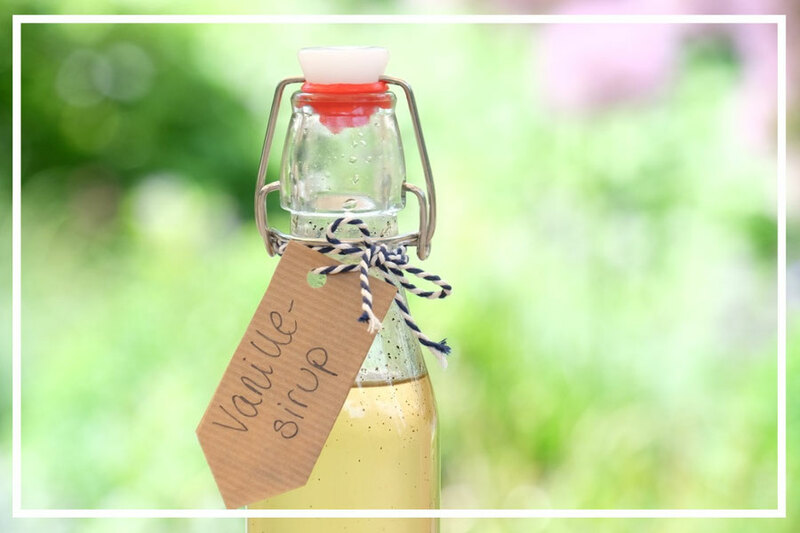 We are getting best stories to find home made vanilla syrup articles. So many topics they are given to understood the values and soul articles. Then everyone happy to know about the blog updates.